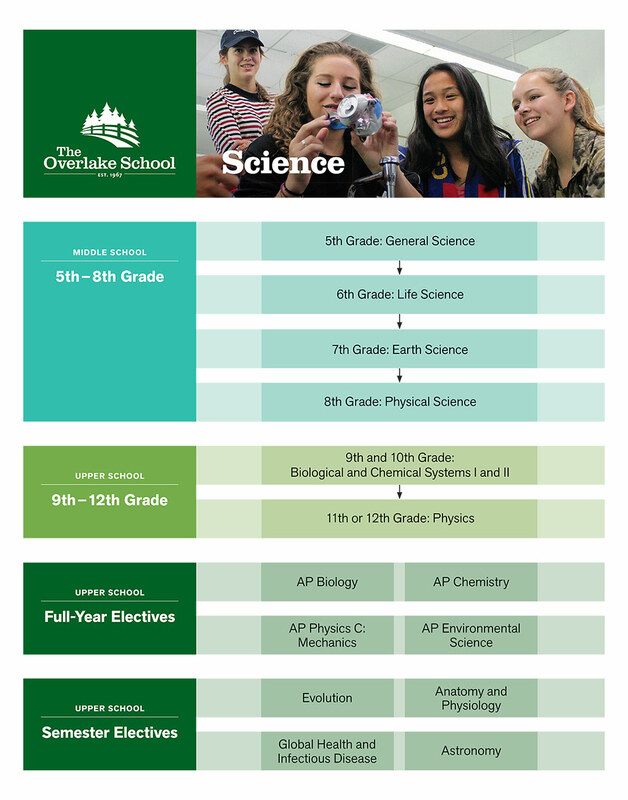 The aim of the Overlake School Science Department is to develop students who can think, investigate, and communicate thoughtfully and creatively to address scientific issues and problems. By pursuing deep conceptual knowledge and understanding of the practices that characterize the discipline, students come to see science as a way of explaining the natural world. Their work and practice lead them to become scrutinizing science practitioners who can pose and investigate questions about the natural world, engage in qualitative and quantitative data analysis and interpretation, and communicate scientific reasoning to explain investigative results and observed phenomena. During three required years of study, students encounter concepts, principles, laws, and skills of science across the three main disciplines at successively higher levels of abstraction. The required course of study is designed to immerse students in the investigation of the nature and behavior of matter, energy, and living organisms, preparing them for more advanced study both at Overlake and at college, as well as recognizing the role of science in their everyday lives. The department staff is committed to active learning experiences, engaging the students in the process of science via lecture, discussion, and laboratory work that serve to develop and enhance their ability to think critically and communicate intelligently about scientific problems and issues. High school students are required to take three years of science: BioChem I, BioChem II must be taken in grade 9 and 10, respectively. The third-year requirement must be a Physics course, but this can be taken in either grades 11 or 12. View the Science Honors/Advanced Placement Criteria. The fifth-grade science course begins with an introduction to science process skills and then applies them using the scientific method. The students use an inquiry-based approach to explore topics in the areas of physical science, earth science, and biological science. 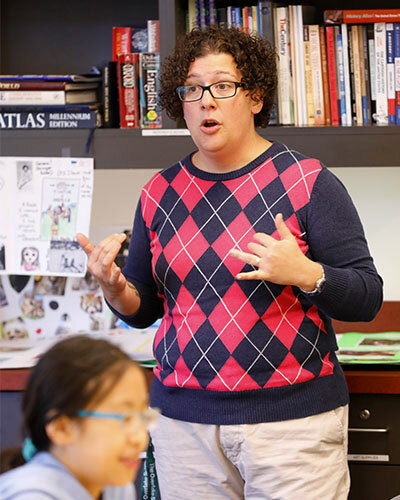 Students utilize investigatory skills to look for patterns, relationships and connections between various topics of the different disciplines of science. Topics covered include: the nature of properly designed experimental procedures, properties of the Earth, interaction of species and their environments, and environmental awareness and stewardship. 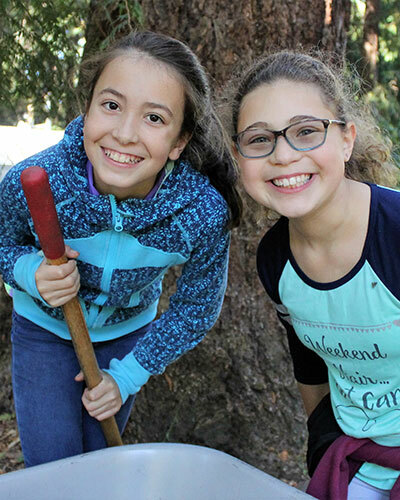 The sixth grade science course focuses on the study of matter, biological systems, and ecology by unraveling misconceptions and gathering prior knowledge. In this course, students will examine ideas concerning identity, continuity, and interactions within and between living systems. The course begins by continuing the investigation into scientific inquiry started in the fifth grade with a study of Forensic Science. The study of biological science will include investigations into cell structure and function, life cycles and genetics, and the relationship between biotic and abiotic factors in an ecosystem. Relying on investigation as a primary way of acquiring knowledge, the students will gain an understanding of the scientific process while developing skills in data recording, data analysis, experimental design and lab report writing. Laboratory materials and skills are introduced and used in a series of basic experiments.The sixth grade science course is the first in a two-course sequence focused on the study of matter, energy, and biological systems. In this course, students will examine ideas concerning homeostasis, continuity, and interactions within and between living systems. The course begins by continuing the investigation into scientific inquiry started in the fifth grade with a study of Forensic Science. The study of biological science will include investigations into cell structure and function, life cycles and genetics, biodiversity, and the relationship between biotic and abiotic factors in an ecosystem. Relying on investigation as a primary way of acquiring knowledge, the students will gain an understanding of the scientific process while developing skills in data recording, data analysis, experimental design and lab report writing. Laboratory materials and skills are introduced and used in a series of basic experiments. Seventh grade science focuses on a variety of earth science disciplines. It begins with a study of the interior of the earth and plate tectonics, continues by learning about types of rocks and landforms, moving to a study of the atmosphere and weather, and finally a study of the earth’s place in our solar system. The course focuses on an inquiry-based approach with students engaging in hands-on investigations in order to frame the lessons. There is also an emphasis placed on technology and using online resources to study our earth. The seventh-grade course continues to build on the laboratory and analysis skills developed in sixth grade. Eighth grade science is the final course in the middle school program. It emphasizes scientific inquiry and experimentation while helping students develop their problem solving and evaluative skills. Eighth grade science concentrates on the study of physical science by investigating the concepts of kinematics; Newton's Laws of motion; fluid statics & dynamics; work, energy, and power; wave phenomena and sound; light and the Electromagnetic Spectrum; and electricity and magnetism. Biological and Chemical Systems I (BioChem I) is the first course in the Biological and Chemical Systems two-year sequence. 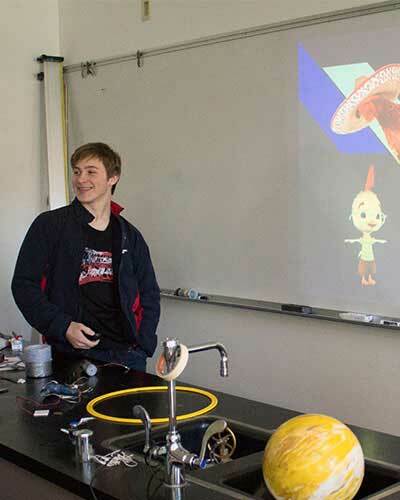 Required for ninth graders, this interdisciplinary course centers on a study of the structure and properties of matter, energy, and living organisms. Topics such as atomic structure, chemical and physical properties of different categories of compounds, nature and function of biologically active molecules, cell structure and function, genetics, and evolution are all introduced in this course. Furthermore, significant emphasis will be placed on the development of science practices that allow students to effectively carry out the process of scientific inquiry. Completion of BioChem I with a course grade of 60%, including the second semester exam. Required for tenth graders, Biological and Chemical Systems II (BioChem II) continues the interdisciplinary study of biology and chemistry started in the ninth grade. In this course studies will focus on the connection between macroscopic properties of various types of matter and their atomic/molecular structure. Inquiry into the relationships between atomic structure and chemical activity will serve to enable students to delve into biochemical reactions and biochemical energy production. This course emphasizes practices of quantitative problem solving and data analysis as a tool for elucidating patterns and information. Completion of each semester of BioChem I with an average of 95%, including the second semester exam, plus consent of instructor. Algebra II is required for Honors BioChem II, although it may be taken concurrently. In addition, student must have earned a grade of 85% or better in their last completed honors math course or a grade of 93% or better in their last completed regular math course. In the honors section of the BioChem II class, students will explore the same concepts as in the non-honors course, though the depth and pace of the course will reflect a much higher level of rigor. The honors section is best suited for students who tend to pick up concepts more quickly and can master introductory problem-solving strategies with fewer examples needed. This allows the class to investigate more advanced applications of concepts and to solve more complicated problems. As an honors level course, there is an expectation that subject matter covered in BioChem I has been retained and can be applied to both the breadth and depth of the material covered in BioChem II. It is expected that students enter the course with strong work habits, complete homework on a nightly basis, read independently for understanding, and demonstrate self-advocacy skills. Students should expect to spend roughly an amount of time working outside of class equal to that spent in class. Lab reports and special projects may add on to this time. Required for students graduating in 2019 and beyond. May be taken in either 11th or 12th grade. Full-year elective. Completion of BioChem II or II (H) with a course average of 60%, including the second semester exam. This year-long course offers an in-depth study of classical and modern physics. Topics to be investigated include mechanics, thermodynamics, electricity and magnetism. The course is designed to provide students with a systematic development of the main principles of physics. It emphasizes problem solving, critical thinking, and data analysis and helps students to develop a deep understanding of physics concepts. Lab work will provide students opportunities to learn concepts through inquiry and apply concepts to real-life situations. Students will be using basic algebra and trigonometry when solving quantitative problems. Full-year option for the Physics requirement. Completion of BioChem II with course average of 93% or better, including the second semester exam, plus consent of instructor. Completion of BioChem II (H) with course average of 87% or better, including the second semester exam, plus consent of instructor. In the honors section of the physics class, students will explore the same concepts as in the non-honors course, though the depth and pace of the course will reflect a much higher level of rigor. The honors section is best suited for students who tend to pick up concepts more quickly and can master introductory problem-solving strategies with fewer examples needed. This allows the class to investigate more advanced applications of concepts and to solve more complicated problems. As an honors level course, it is expected that students enter the course with strong work habits, complete homework on a nightly basis, read independently for understanding, and demonstrate self-advocacy skills. Students should expect to spend roughly an amount of time working outside of class equal to that spent in class. Lab reports and special projects may add on to this time. Open to 11th and 12th grade students who have successfully completed Lab Science I and BioChem II. How can we explain the incredible variety of living organisms on Earth? Why do some insects look like sticks? Are we, as humans, more closely related to insects or sea urchins? What is responsible for the current rise in multi-drug resistant bacteria? How can DNA analysis provided insight into where humans originated and how they came to populate the Earth? Students in this course will be engaged in a variety of laboratory and research projects. Therefore, adequate preparation for class is required and will involve regular homework. What makes people sick? How is the cause and spread of disease studied and assessed? What are key factors that determine health and well being for all populations? What are the biggest challenges in global health today and how are these challenges being met? These questions lie at the heart of a study of global health and infectious disease. This course will enable you to develop an understanding of the nature of infectious disease and explore how this class of disease continues to be the central determinant for the health of all populations. Tackling the issue of global health and infectious disease from a variety of perspectives, our work will focus on developing an understanding of the basic concepts of infectious diseases, dynamics of disease transmission, as well as the impact that emerging and reemerging infectious diseases have on society. Semester elective. This course is equivalent to the Astronomy 101 course offered at the University of Washington, and may be taken for 5 UW credits. How has our understanding of our place in the Universe evolved over time? How are astronomers able to describe and understand complex phenomena utilizing only the light received from distant sources? What is the role astronomy plays in our daily lives, and in the future of humanity? The purpose of this class is to study the structure and function of several different systems in the human body (circulatory, respiratory, digestive, excretory, and immune.) With an emphasis on the concept of regulation, we will examine the mechanisms by which these systems support the process of life. This course will focus on the practical and hands-on application of anatomy and physiology. Each student in the course will take on the role of doctor and will be in charge of analyzing and diagnosing four patients over the course of the semester by compiling their knowledge of the body systems in order to come to a concrete diagnosis. Investigation of some common diseases and evaluation of bioethical dilemmas faced in the medical field will be included. There will also be a few dissections so that students can get a better idea of how different organs or systems work. Students in this course will be engaged in a variety of laboratory and research projects. Therefore, adequate preparation for class is required and will involve regular homework.